You can find your basic Email Update settings in the Control Panel under the Preferences button in Global Preferences. From here click on the tab for Email Settings. You can also customize the appearance of email updates by using a Page Wrapper and/or a Subheader. Email updates DO NOT pull the design from your Global Wrapper. If you would like your email updates to display a custom design or stationary along with the IDX content, you will need to create a separate email specific HTML wrapper for the updates that are sent out on your behalf. 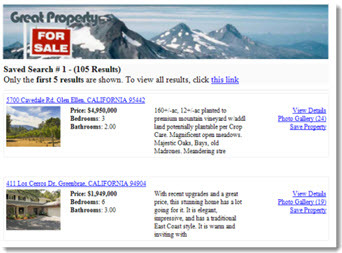 In order to customize and preview what your email updates will look like, go to Designs -> Wrappers, and create a Page Wrapper for Property Updates. For more information on working with Page Wrappers, please see this article. 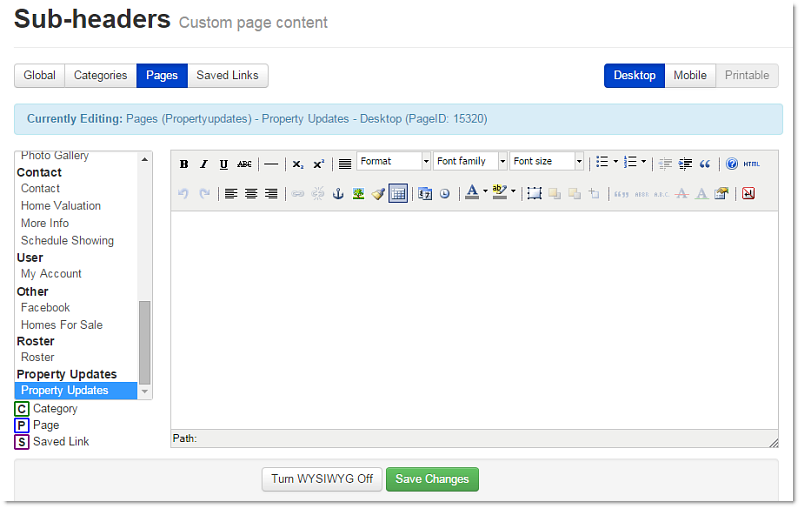 To add a Subheader, go to Designs -> Sub-Headers, and choose the Page Subheader for Property Updates. Enter in your subheader content using the content editor provided. You can add custom text, or even a custom banner to display at the top of your email updates.Note: You cannot upload any subheader images into your IDX control panel. 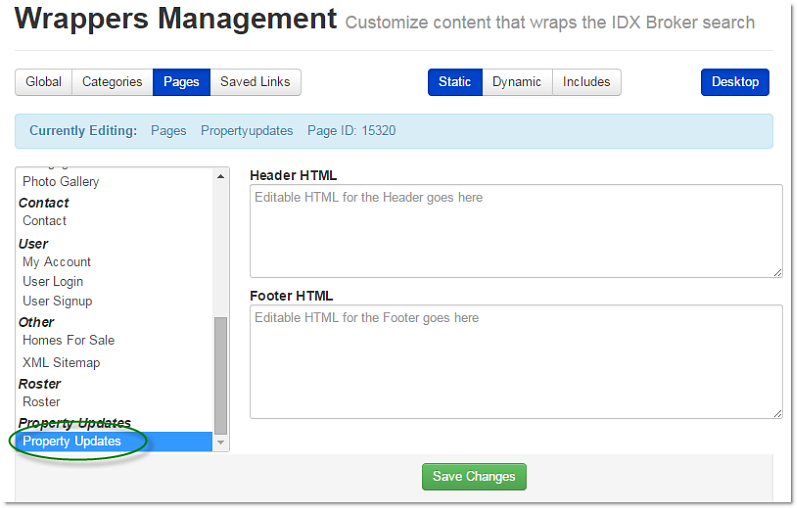 Instead, use an image hosting service or host the image on your own website and link to it in IDX. The contact information in the footer of your email update is pulled from the information you have entered in the Account Info section of your control panel. Please check to be sure this information is up to date and accurate.